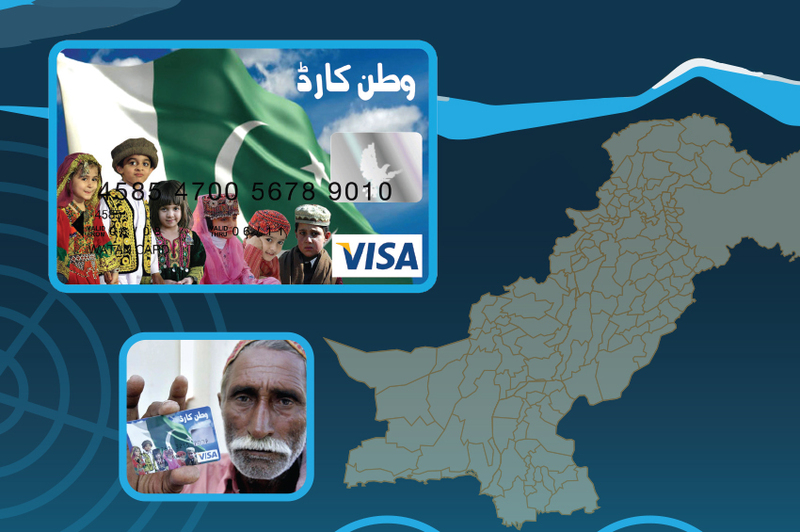 Watan Cards were launched in 2010 to help the victims of floods in Pakistan. NADRA played a vital role in supporting the Government of Pakistan to provide the financial assistance to the flood affected population of Pakistan on a short notice of 72 hours. The 14 Million affected were given relief for fast recovery and their return to normal and comfortable lifestyle. The affected areas were identified; biometrics taken and verified to ensure transparency and maintain records. Watan card provides the beneficiaries to manage their life style with the grant provided and support family members. This project ensured rehabilitation after natural calamities. It has also developed a web based case management system to facilitate appeals and complains of the applicants. Please click here to download flyer.